Do you have a water leak in your home or irrigation? If you do, you need the best Leak Detection Company Camarillo, CA It has been estimated that the typical home loses anywhere from 2,000 all the way up to 20,000 gallons of water a year! That is a lot of water loss. Water loss will affect your wallet, and depending on how much water loss, could cause hefty unwanted expenses not to mention the potential damage to your property. Some leaks are small and don’t cause severe damage, others are large and have the potential to cause major damage including flooding and mold to your home. Our top priority here at Pegasus Leak Detection is you, the customer. Water leaks are never wanted, no one has ever been in a good mood to discover they have a leak. We are conscious of your particular situation and make sure to handle each of our customer’s situations with ease, precision, and an extra helping of care. Leaks don’t cater to your schedule, but you can rest assured, we do! Pegasus Leak Detection, in an attempt to better serve our customers, offers faster response times by offering 24/7 availability 365 days a year! This makes us the only local leak detection company to do so. Pegasus Leak Detection also offers a promise to you! “Our only priority is you, the customer, because of this we made ourselves available 24/7 for any emergency or time that works best for you. 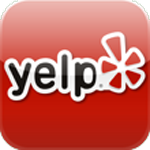 Please check out our yelp reviews! We also understand that you hire a company for their service, not their time, because of this, we only have flat fees and if you have a leak we can’t find, we won’t charge, that is our promise to you.” and that is our Pegasus Promise! When dealing with a headache of an issue such as a slab leak, you deserve to have the very best leak detection company assist you to make the process easier. Pegasus Leak Detection is the company to offer a hand to help pick you up when that slab leak knocks you down. I own a local Damage Restoration business here in Ventura County, often we get called out to a water damage before our customers have actually found the leak. So they ask me for a good Leak Detection and my go to guy is Philip, not only does he have the professionalism that I expect my guys to have but he treats EVERY job with a sense of urgency which is important to me (because we can't start drying until its found). For me, he's my slab leak & pinhole leak expert! My customers also love that if he can't find the leak, he wont charge, that just shows his dedication to his customers and the work he preforms! Thank you philip for your hard work!